Meeting in New Delhi for its 14th World Council, the IYCS has elected Australian Devett O’Brien as its new general secretary. “I thank the IYCS members for electing me to the post,” O’Brien told ucanews.com, adding that he hoped to work with other members to spread peace in the world. 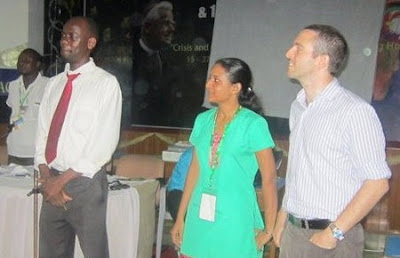 Nimali Fernando from Sri Lanka was also elected as the new program coordinator for the movement. In addition, Kabore Gerard, Loucille Alcala, Teresa Mourad, Msgr. Robert Vitillo, Fr Mike Deeb, Manoj Mathew were elected to the IYCS Advisory Board. Outgoing lay member Loucille Alcala and Edouard Koutsava thanked the movements and individuals for their support during the last four years.